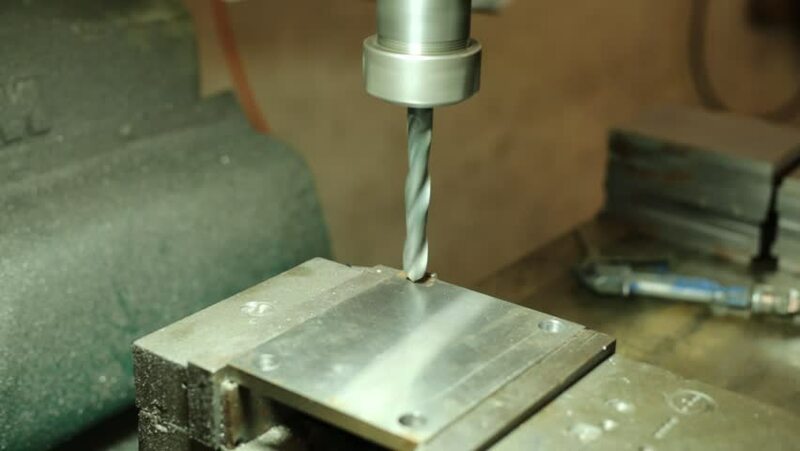 DRILLING MACHINE, Employee drilling machine in flat steel plate with bench drill. 4k00:12Close up of a 3D printer that creates parts of industrial design. Concept of: robotics, engineering, technology and 3D printers and design.